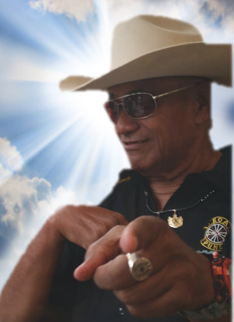 ABRAHAM "ABE" KAEHUAEA TENORIO, 67, of Waianae, passed away at home on January 18, 2019. He was born in Honolulu. Abe is survived by his wife, Joyce Tenorio; sons, Isaac (Michelle) Tenorio, Jacob Tenorio and Daniel (Alanna) Tenorio; daughter, Susannah Tenorio; grandchildren, Jacob Akau, Kamakana Tenorio and Dannalyn Tenorio; brothers, John-Thomas Kahaloa, William Keahi, Herman Kahaloa, Lloyd Kahaloa, Leo Kahaloa, Kenneth Kahaloa, and Luke Kalani; sisters, Mary Gail Oh, Eleanor Piilani Johnson and Juanita Kahaloa. Visitation and Prayer Service with Family Program will take place on Wednesday, February 27th, 2019 at Mililani Memorial Park and Mortuary's Mauka Chapel. Visitation will begin at 5:00 pm, followed by the Prayer Service and Family Program at 6:00 pm. Casual or Aloha Attire, No Flowers Please.